A mailing list is a collection of names and addresses used by an individual or an organization to send material to multiple recipients.- Wiki. Email lists are used for sending an email to multiple recipients. An Internal list is a list internal to an organisation, but it may also include some external email addresses. How you send to an internal list depends on the list size. For Large lists it is recommended to use the bcc line for the list. If you use the bcc line then you don’t need to worry about mail storms caused by some recipients choosing the reply to all option. This is because reply to all only sends a reply to recipients on the to and cc lines. For small internal email lists the sender can use the to, cc or bcc lines. Normally the to and cc lines are used as it may be desirable that the recipients can reply to all other recipients. When a recipient receives an email that has been sent to a list they will see all of the other email recipients that are on the to and cc lines. 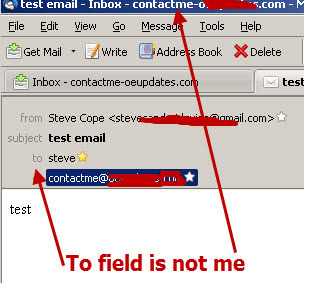 In addition, when the view the email the to field will not usually contain their address, but they will usually recognise the address/name in the to field as it belongs to one of their colleagues. Internal lists may contain some external email addresses. Generally external email addresses should be sent using the bcc line, as it hides their address from other external recipients. However if the external recipients are part of a company work group then they can be treated like internal recipients. When sending to email recipients that are external to an organisation it is important to remember that you should keep the email addresses confidential and that the list members shouldn’t know the email names/addresses of other list members. In addition you should try to have the recipient address appear in the to field. If you manage the mailing list using an email client like outlook/windows live mail then the normal procedure is to send to the list using the bcc line. The to line can be left blank but that can confuse the recipient and may cause the email to be blocked. Therefore it is usual to use your own email address, or a trusted address (trusted by the recipients) for the to address. This method will be satisfactory for small lists and club type lists but for marketing lists it is better to use email list software which will send email to individual recipients rather than to a list. With mailing list software there is only one recipient for the email and that recipient is in the to field. Because any email attachments are sent to all message recipients you should be very careful when sending attachments.especially large attachments, to large mailing lists. If you need to send attachments then consider using a file sharing service like Dropbox, See sending email using Yahoo and Dropbox for an example. An email that is addressed to 5 recipients results in 5 separate emails being sent. Likewise and email sent to 50 recipients results in 50 separate emails being sent. Note: When sending to an email group the individual addresses are substituted (by the email client) before the email is sent. Most ISPs/email providers will block the sending if you try to send too many. Yahoo do not disclose the maximum number of recipients you can send to, but here is what they have to sat regarding sending to large lists. Sending using an online auto responder service.